First Listen: Martha Wainwright, 'Come Home To Mama' Since the release of her last studio album in 2008, Wainwright gave birth to a daughter and lost her mother, the singer Kate McGarrigle. So it's no surprise that loss and rebirth flow through the veins of Come Home to Mama. Martha Wainwright's new album, Come Home to Mama, comes out Oct. 16. The word "confessional" has some unpleasant connotations when the topic is singer-songwriters: It's often used as a benign-sounding stand-in for "overwrought" or "over-sharing." 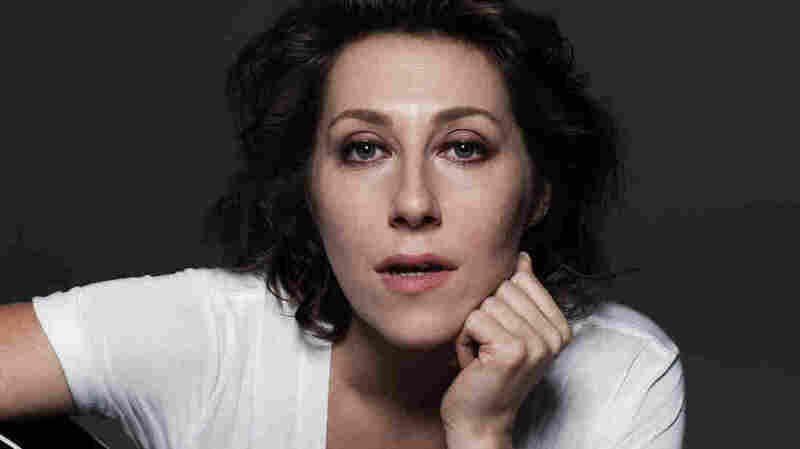 But Martha Wainwright is a confessional singer-songwriter in the best possible way. She writes truthfully, self-effacingly, in ways that accept blame and examine raw emotions that can't be explained away in shorthand. Wainwright may have first penetrated the public consciousness with a heartsick screw-you anthem whose title can't be printed here, but she's spent her entire career trafficking in thorny complexities. Out Oct. 16, Come Home to Mama is, understandably, largely about motherhood: Since the release of her last studio album, 2008's evocatively titled I Know You're Married But I've Got Feelings Too, Wainwright gave birth to a son and lost her mother, the singer Kate McGarrigle. Loss and rebirth flow through the veins of Come Home to Mama, particularly in its two most affecting songs, "Proserpina" and "Everything Wrong." In "Proserpina," Wainwright pays tribute to her mother by singing the last song McGarrigle ever wrote — it's goosebump-inducingly gorgeous — while in "Everything Wrong," she humbly examines life as a bumpy continuum, blazing a jagged but ultimately optimistic path across three generations. Creatively speaking, it's been a remarkable year for Wainwright's family, especially when you set three songs side by side by side: her father Loudon Wainwright III's "In C," her brother Rufus Wainwright's "Montauk" and her own "Everything Wrong." Bundled together as the sum of three brilliantly idiosyncratic voices, those songs paint an exquisite portrait of a family's enduring love, unvarnished grief and undying hope.